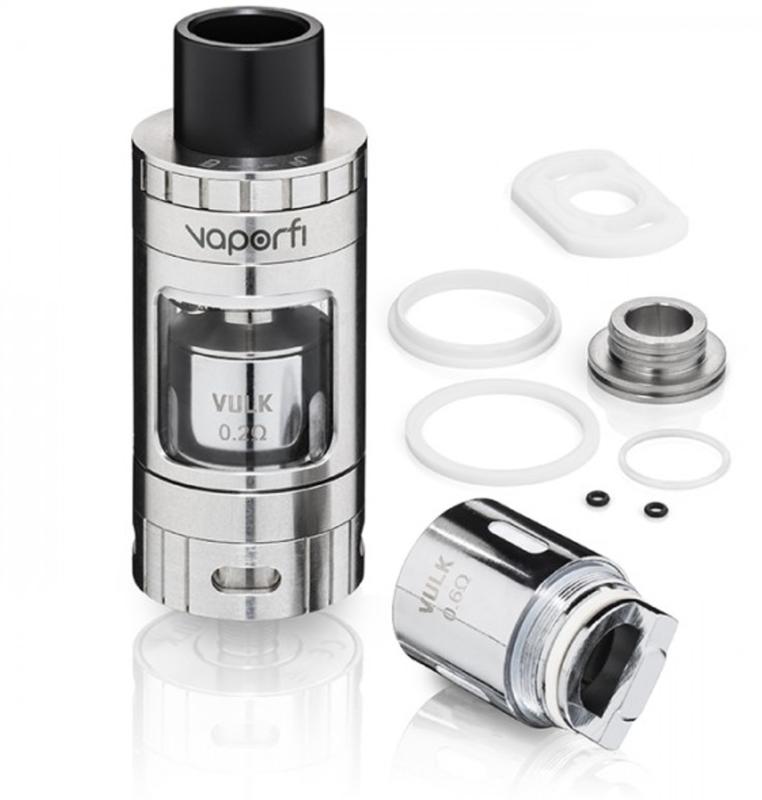 VaporFi Vulk Tank: Is This A SMOK TFV8 KILLER? VaporFi has been VERY busy in 2017. 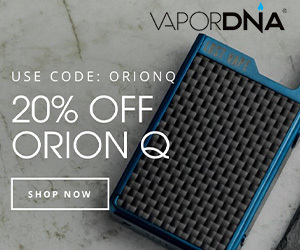 In the past few months, there has been a constant stream of new hardware and E Juice lines. But perhaps the most impressive of these is its latest release – the VaporFi Vulk. 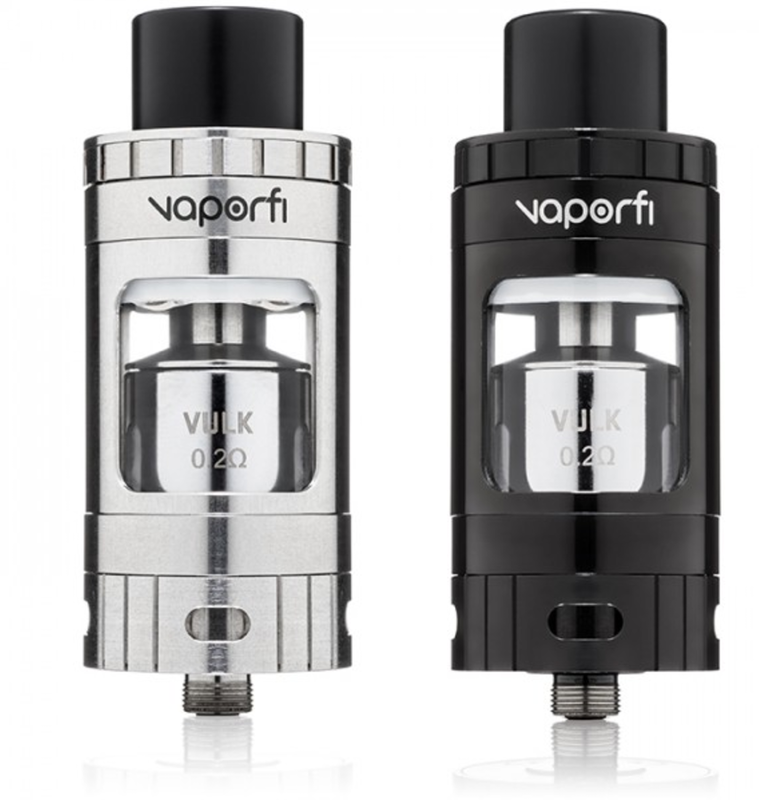 Designed with power users in mind, the VaporFi Vulk is a beast of a tank that can handle up to 200W of power. It features a large, 5ML juice capacity, a solid, robust-looking design and comes in either white or stainless steel. SMOK has been killing it at the top end of the sub-ohm tank market for the past 12 months with its TFV 8, TFV 8 Baby Beast and, more recently, the insane SMOK TFV 12. Plenty of other players have attempted to dethrone SMOK, but most have failed. This is mostly down to the fact that SMOK has excellent branding and an expansive distribution model that spans the globe. Still, there are ALWAYS alternatives to what’s considered the best of the best – just look at the smartphone space. So What’s Cracking With The VaporFi Vulk? Quite a bit as it goes. 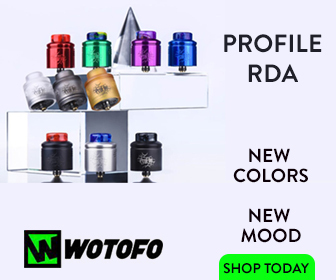 There’s a brand new Kanthal coil system – 0.2ohm and 0.6ohm – that looks rather similar to SMOK’s TFV8 system, meaning big, expansive and ready for high-power vaping. 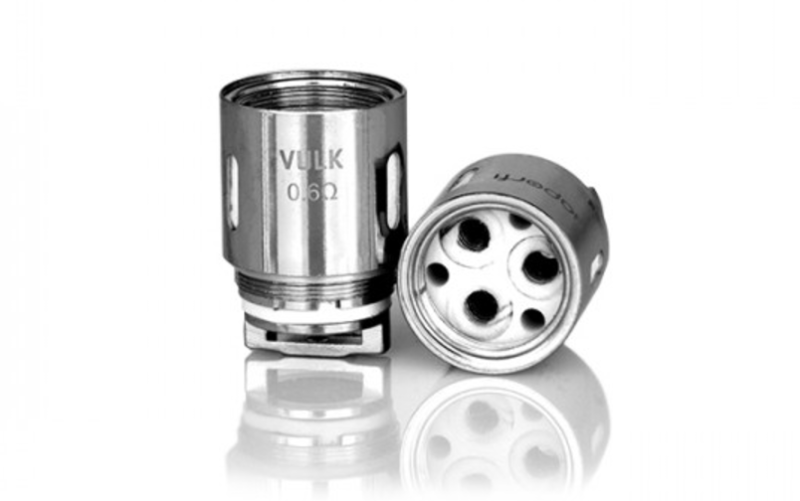 The coil system utilizes a “Tri-Parallel” coil design for maximum absorption and flavor. 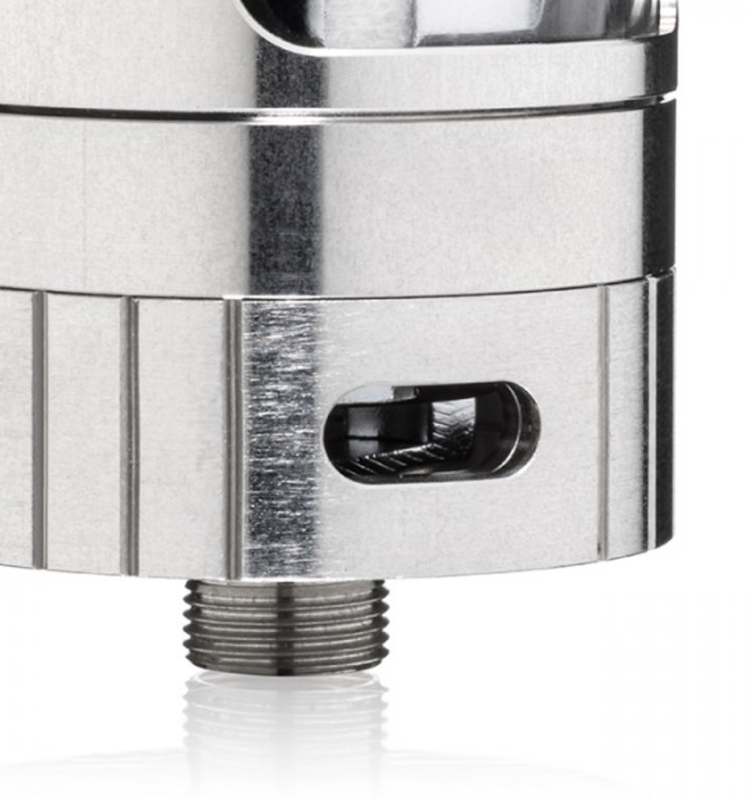 This means it’s quick to prime and each coil will last for longer, saving you money in the long run, theoretically. 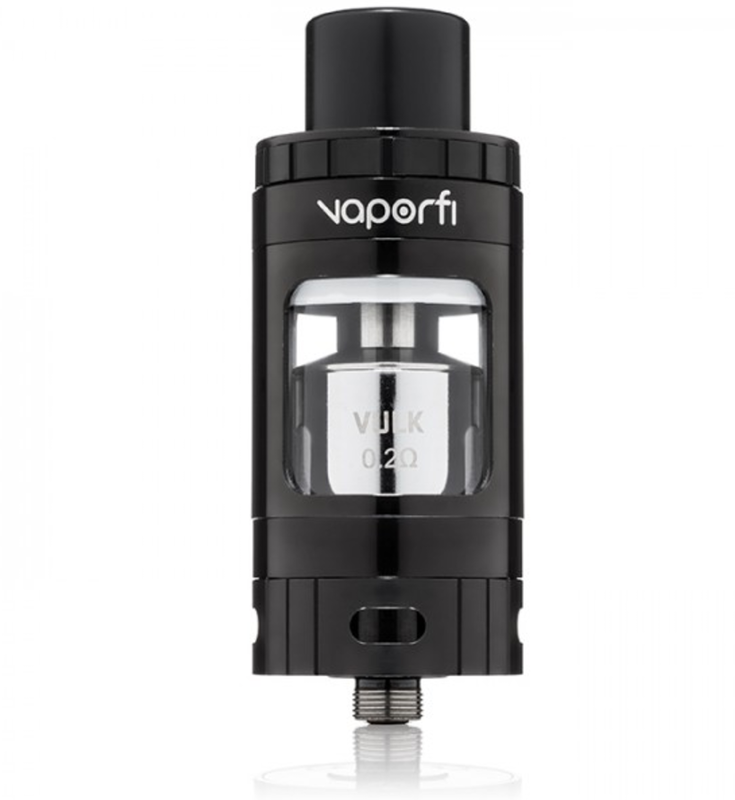 The VaporFi Vulk is a 26mm tank, so it’s pretty chunky. This means I might now sit flush on thinner mods. Having said that, mods are getting chunkier and chunkier with each new month, so this shouldn’t be too much of an issue. 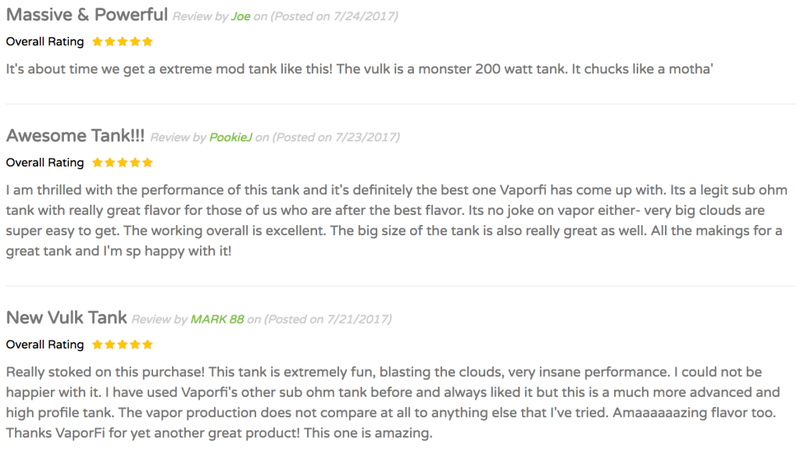 The VaporFi Vulk, for me, is easily the best tank the company has ever created. 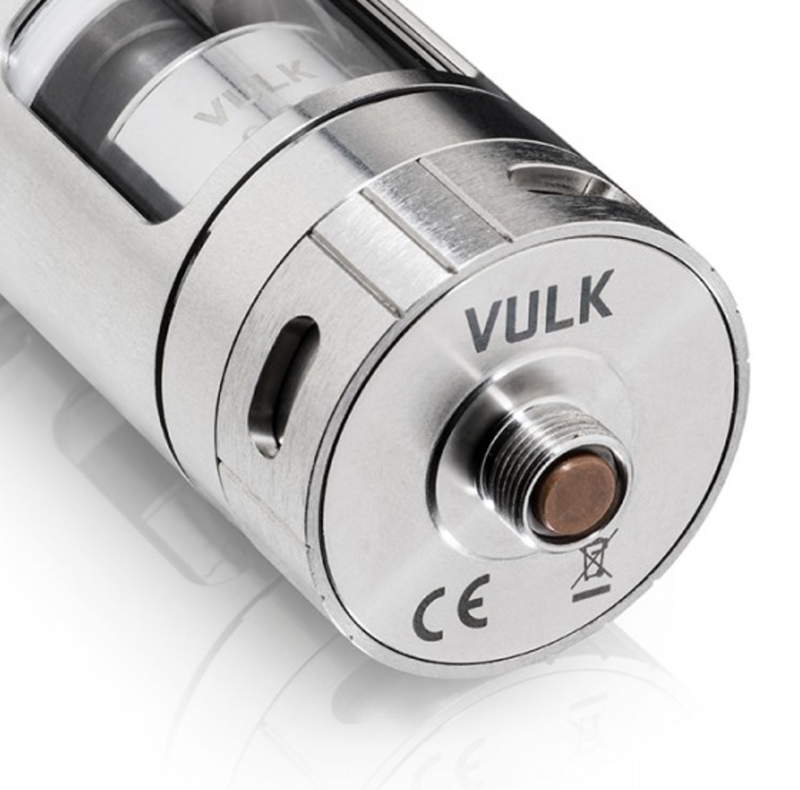 It is a true, high-performance sub-ohm tank that can go toe-to-toe with the likes of SMOK’s TFV and the UWELL Crown III. I still don’t have my review unit yet – apparently, it is on its way – but initial feedback from users is looking very positive indeed. I’ve been using the VaporFi Viper this past week. This tank is essentially the Vulk’s predecessor, and so far I am very impressed with it’s overall performance and flavour. The Viper is a bit too long for my liking; it’s bigger than the Vaporesso Nano, for instance, but the performance is definitely on point, which is all that really matters. This is why I am very excited by the prospect of getting the VaporFi Vulk; it’s essentially a vastly improved version of the Viper with a new, modern design and a vastly superior coil system. But perhaps the best part of all is the price – you can pick up the VaporFi Vulk right now for just $39.99.